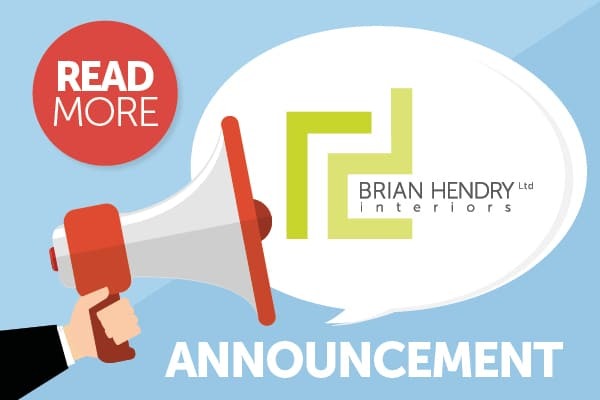 On 5 June 2018, Brian and Susan Hendry—the directors of Brian Hendry Interiors Ltd—travelled to London to attend the 2018 FIS Awards Lunch hosted at the Dorchester Hotel. This served as an opportunity to interact with other industry professionals and to come together to celebrate the innovative projects that have been completed over the past year. In reward for our work with CCG (Scotland) on the Hawkhead Day Centre and Care Home in Renfrew, a project that was inspired by the vision of Page\Park Architects and Unum Partnership, Brian Hendry Interiors Ltd was presented with a Suspended Ceilings Gold Award. 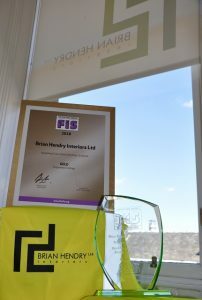 Both Brian and Susan were delighted to accept this award on behalf of all the hardworking and talented staff at Brian Hendry Interiors Ltd who helped to ensure the success of this project. We look forward to continuing to deliver high quality workmanship in our future contracts! For more information about the bespoke suspended ceilings that were installed at the Hawkhead Day Care Centre and Care Home, please follow this link to our project description: http://bhinteriors.com/portfolio/hawkhead-care-home-and-day-care-centre/#.W0NHc0xFyUk.